Developing and building large structures and hard assets are complex undertakings. They demand careful management of the projects and the relationships with numerous parties involved, whether directly or indirectly both, and particularly, during the development stage as well as during the construction and commissioning stage. The projects require quality design project management, quality tender project management and quality project management of construction and commissioning stage. 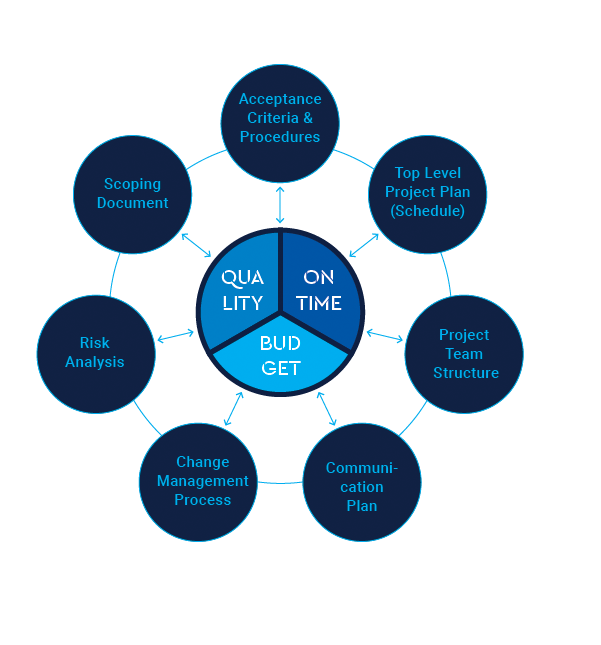 Hence both the projects and their concomitant project management services can be divided in four distinctive phases. At Mack Project Engineering, we are clear there is no such thing as a prefabricated solution. We understand that every organisation, business and industry sector is unique and that every project or programme designed to transform it will require a specific and tailored approach. Frequently, management tools and methods are taken too literally and businesses end up with an overly complicated, onerous and bureaucratic approach to delivering projects. Our approach is highly pragmatic and is supported by a suite of tools that act as enablers to drive our clients’ projects to successful conclusion.  Our comprehensive project management toolkit provides a simple, practical and effective approach to mobilising, managing and delivering projects. Our expert teams have accumulated invaluable project management experience in shipbuilding, offshore, construction, manufacturing, energy and marine sectors and can provide consulting support in every stage of project management delivery. On many occasions, we have conceptualized and originated inovative projects, while on others, we have provided expert support in project planning, risk management and/or energy management and reduction. By the same token, some of our project involvement comprise a complete array of project management services while some only specific project management consulting. Occupational health and personal safety is our greatest responsibility. The goal is to conduct our business at the highest level and in accordance with HSE rules and regulations. To achieve this we are continuously improving health and safety practices and performance in order to fully comply with relevant health and safety legislation, codes and standards. Mack Project Engineering is ISO 9001 certified and has developed and applied its own System of Quality Assurance and Quality Control in accordance with international directives, in order to ensure the best performance and required industry standards for all our clients. Our qualified and educated employees work independently within our organizational structure and strictly adhere to these Quality Assurance and Quality Control standards in their daily tasks. Protection of the environment and sustainability are among the cornerstones of our operating philosophy. We are aware that we operate in an industry that can have a significant impact on the environment, which means we have an even greater responsibility to make sure we use resources wisely, and manage our team and suppliers effectively. The management, staff and all parties involved in our projects work with conscience and with total respect for the highest international and local environmental standards.